Enter your email to receive our Monthly Newsletter and Special Deals! We all worry about our memory from time to time, but there is a common tendency not to talk about it out of concern for what it might mean. Individuals often find it difficult to reveal they are experiencing problems, whether with family members, their friends, or even their physicians. The prospect of Alzheimer’s disease or another type of dementia can be frightening. I’m here to tell you that despite public perception, there are definite benefits to identifying Alzheimer’s disease in its early stages! Studies have consistently shown that early diagnosis along with active medical management of Alzheimer’s disease can significantly improve quality of life through all stages of the disease for diagnosed individuals and their caregivers. Early diagnosis also gives individuals a chance to participate in research opportunities and plan for the future. Memory changes that disrupt daily life. One of the most common signs of Alzheimer’s, especially in the early stages, is forgetting recently learned information. Challenges in planning or solving problems. Some people may experience changes in their ability to develop and follow a plan or work with numbers. They may have trouble following a familiar recipe or keeping track of monthly bills. Difficulty completing familiar tasks at home, at work or at leisure. Sometimes, people may have trouble driving to a familiar location, managing a budget at work or remembering the rules of a favorite game. Trouble understanding visual images and spatial relationships. Examples include difficulty reading, judging distance and determining color or contrast. They may not realize they are the person in the mirror. Misplacing things and losing the ability to retrace steps. A person with Alzheimer’s disease may put things in unusual places. They may lose things and be unable to go back over their steps to find them again. Sometimes, they may accuse others of stealing. If you or someone you know is experiencing one or more of the signs, please see a doctor. You can also learn more at www.alz.org/signs or by calling 1-800-272-3900. Alzheimer’s disease knows no social, economic, cultural or racial divides. Over 5 million Americans of all ages have Alzheimer’s disease. 10 million U.S. baby boomers will develop Alzheimer’s disease. 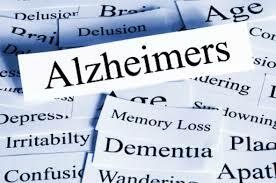 Alzheimer’s disease is a progressive terminal illness with no cure at this time. But there is a reason to hope. 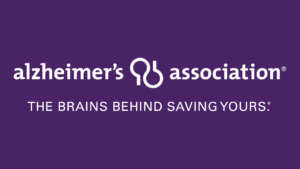 With current research and an increased awareness of what is now known as the ‘Silent Epidemic’, more organizations and individuals are on the move to end Alzheimer’s. Meanwhile, I encourage families and their caregivers touched by a diagnosis of Alzheimer’s disease or other dementia, to reach out and learn about resources to support them as they go forward. Dori Burgess is the Spartanburg Area Program Director with the Alzheimer’s Association. The Spartanburg Area Office is located at 901 South Pine Street. Readers may contact the association for additional information about local support services available to families, the hope offered through advances in medical research and potential risk reduction through a brain-healthy lifestyle: call 1-800-272-3900 or visit www.alz.org/sc.